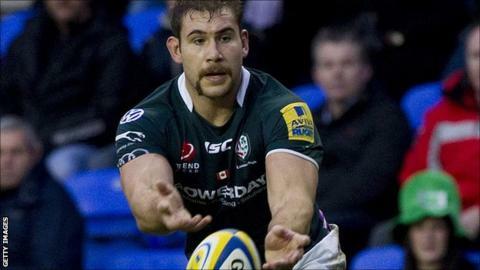 London Irish's Canadian international forward Jebb Sinclair has signed a three-year contract extension. Sinclair, 26, has been in impressive form since his return to Sunbury following a loan period in South Africa with the Stormers and Western Province. He has played five times this season, to add to his 13 appearances since joining the Premiership club in 2011. Sinclair joined the Exiles on the back of a superb 2011 Churchill Cup campaign, where he was an outstanding performer for Canada. "Jebb Sinclair is a rugby coach's dream," added Exiles director of rugby Brian Smith. "He is committed, physical on the pitch and a very positive influence in the changing room. "He has been getting through a mountain of work in recent matches and has provided some real dog in the pack. I'm delighted he has decided to be part of the club's future."